When you broil the eggplant after wrapping it in a foil, do you still get the smoky pora begun flavor? 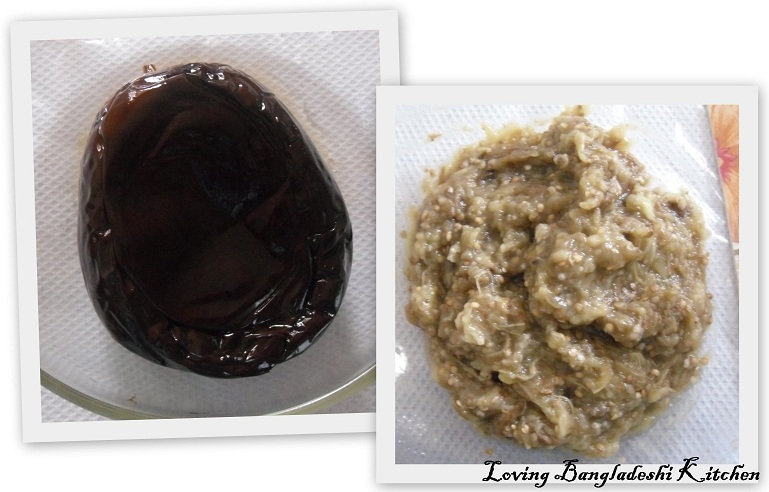 Mam can you please let me know the temperature for broiling the eggplant. 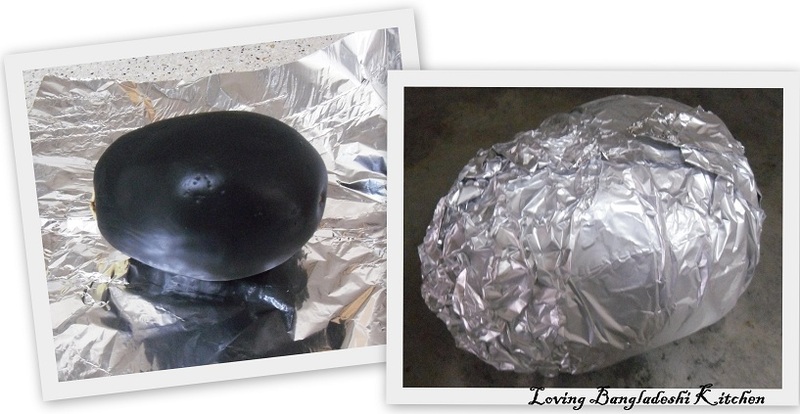 Its around 550 degree F.
You can place the foil covered eggplant on your stove and burn side by side. Be careful about your fire alarm. I have just recommended your website to my cousin. I love your recipes and your labour of love! One suggestion on translation - I think the word you want here is "roast" not burn. Burn often means overcooked or blackened. Thank you very much for your nice comment and for the word suggestion. I think you are right. I will change the word.